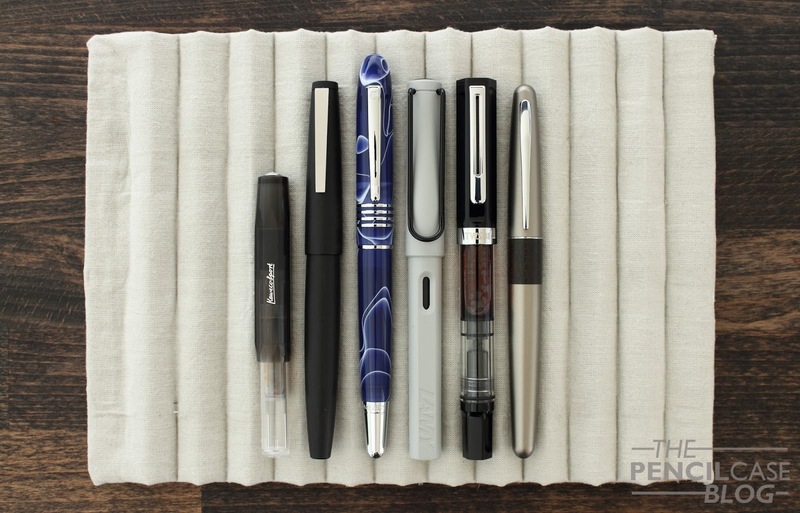 If you're looking for a pen in the 50-100 dollar price range, there are quite a few good options. One of the options that often gets overlooked is Monteverde, with their wide range of products, starting at around 50$. 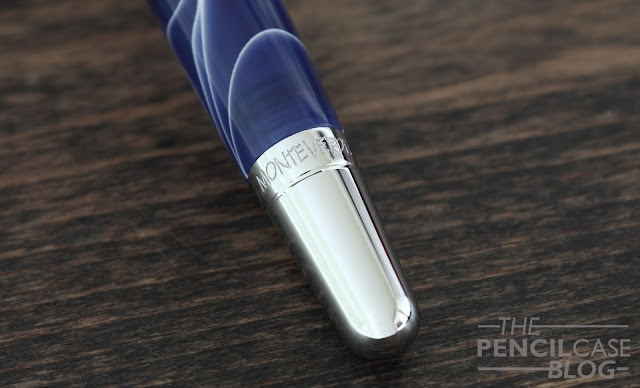 One of their newest pens, also in the sub-100$ range, is the Monteverde 'Mountains of the World' collection. With a name like that, I couldn't help but be intrigued! The name is definitely quite interesting. 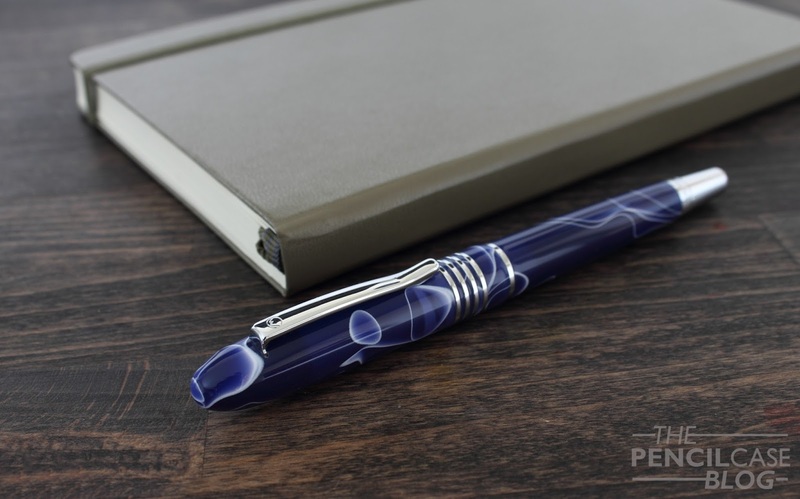 The Mountains of the world pens are inspired by some of the highest mountains, depicted by three unique and colorful acrylic resins. This particular version is the 'Denali' A blue acrylic with white swirls, depicting the snow-covered peaks of the 6194m high Denali mountain in Alaska. 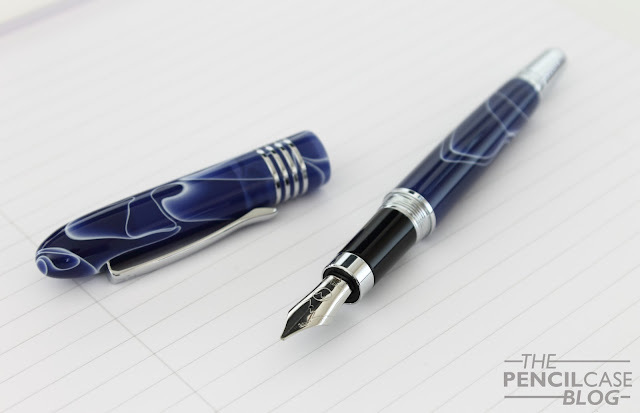 The Mountains of the World pens (I'll just call it 'Denali' from now on) are defined by a rather traditional design. 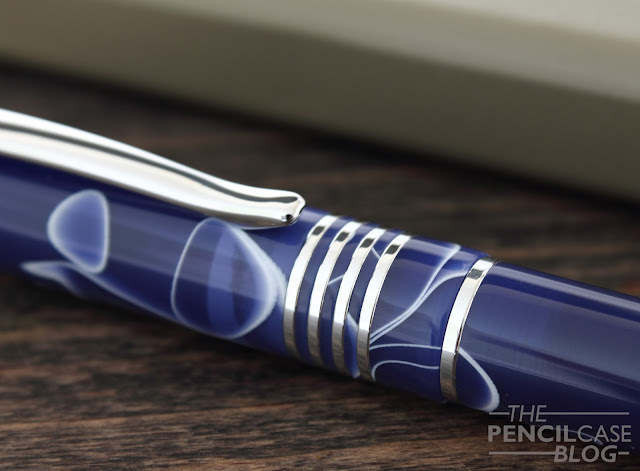 Monteverde pens are usually aimed at a younger audience, with often translates into quite special and unique designs, but this one is actually rather classy and elegant. 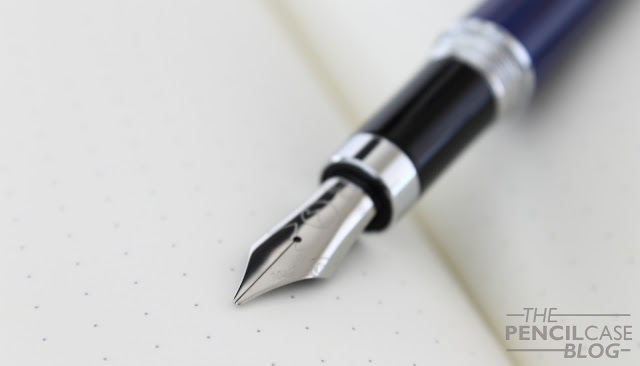 The long cigar shape is accentuated by a metal finial at the end of the barrel, which -apart from being a nice design element- also weighs down the back of the pen to keep it balanced. 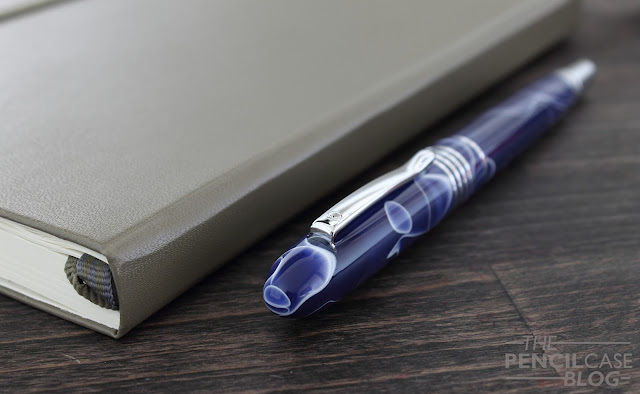 Below a simple, gently curved clip, you can find four narrow center bands, as well as one extra band on the barrel of the pen that sticks out from under the cap. If I'm being really picky, I would've probably preferred a couple less center bands. Combined with the swirly material they make for a somewhat 'busy' appearance. But that's really my only gripe. What I do like about the center bands, is that they went through the extra effort of putting a small ring of acrylic in between every band. With a lot of pens (even with much more expensive pens), the space in between center bands is often just enamel-filled. A+ for effort! 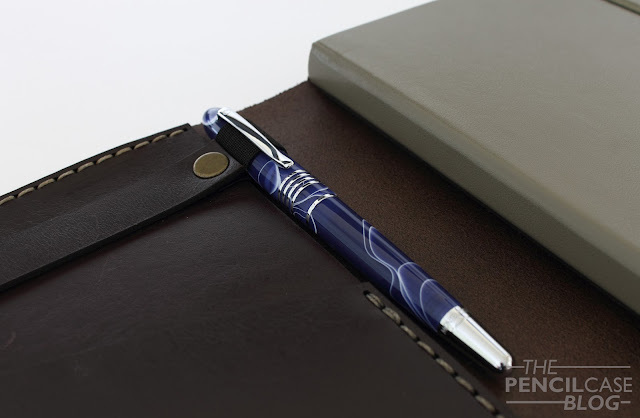 The Denali is a large pen, at just under 15cm capped (5.9in) and 13cm open (5.1in). In contrast to some other pens this size, it's not overly wide, which makes it comfortable in the hand, without fatigue. The metal parts give the pen a solid and comfortable weight of 30 grams (total), and 20 grams without the cap. In general, the build quality and fit and finish is very good, but the threads are a bit of an issue -or could become one after extended use- because they are metal on acrylic (which could wear down over time). The threads catch a bit, so opening and closing doesn't feel as smooth as I'd like, but at least they don't seem to crossthread, and I haven't experienced any significant wear and tear so far. Uncapping the pen reveals a straight black section without taper. It's long enough to be comfortable, but if you hold it higher up, you'll notice the metal threads and the small step towards the barrel. The pen sits nicely balanced in the hand because of the metal parts on both the section and back of the pen that distribute the weight evenly. The cap can be posted, but only very shallow, which makes it ridiculously long (and at 13cm open, it should be long enough unposted anyway). Then we come to the nib, which is definitely a strong suit of the Denali. It's a large steel #6 nib with a simple mountain logo and some text engraved on the nib face. I opted for a 1.1mm stub, which is untipped so it's just the bare steel you're writing with. Untipped nibs are said to be less durable because steel isn't as hard as the usual tipping material, but in essence you'll have little or no issues with the nib wearing down (at least not in one lifetime). The stub writes a nice wet line, and has crisp, well-defined line variation in the horizontal and downstroke. You should always expect slightly more feedback from an untipped nib, but in return you get really crisp lines which is especially useful if you like lettering or calligraphy. Flow is slightly above average, which is good for a wider nib. I did find the nib to be somewhat prone to drying out, but didn't experience any skipping once it gets going. 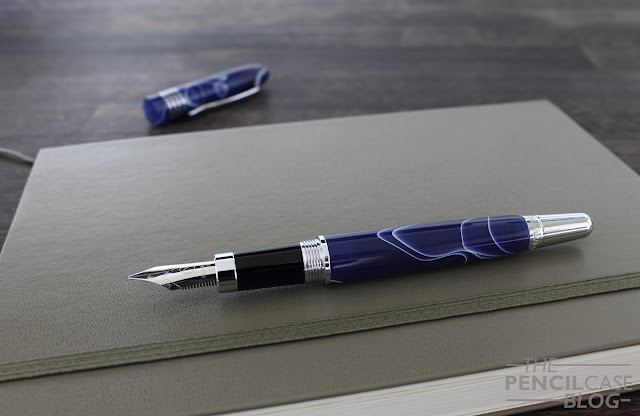 The Monteverde Mountains of the World Denali is a very capable pen. I have to admit it's not the most exciting pen ever, but it's well made and the nib is reall For 85 EUR / 68 USD, you get a classy pen finished in a nice acrylic material (two other color options are also available). 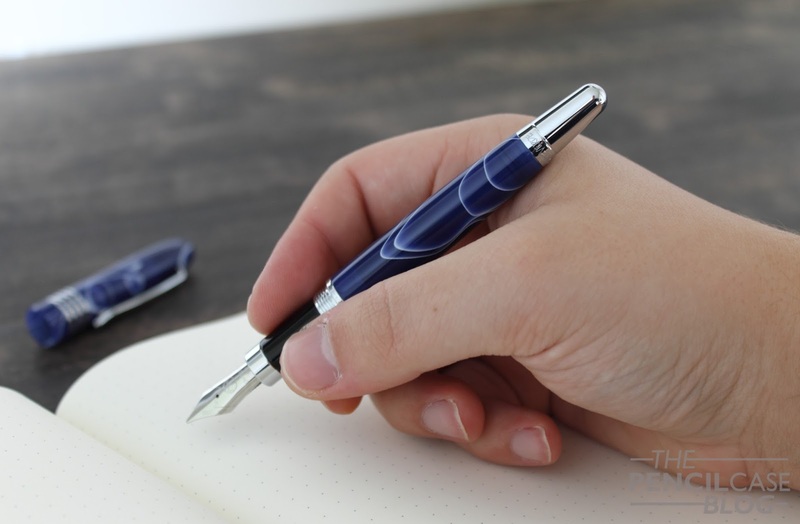 Note: Scrittura Elegante is a sponsor of this blog, I received this product free of charge, so I could write this review. I was in no way influenced in the making of this review, the opinions shared in this review are completely my own! This post does not contain affilate links.